H2H Enhancements add just the right touch of flare to any of our entertainment packages including dazzling light shows, photo booths, and innovative exclusive concepts like Neon Fantasy PRIME ®, the H2H Green Screen Experience ®, Viral Video Lab ®, H2H Live ® and Video Partycast ®. From sensational to sophisticated, H2H has everything you need to customize your event to fit your unique taste! 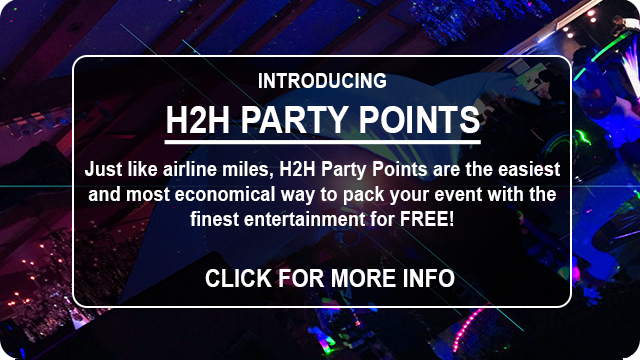 Now, thanks to H2H Party Points, it’s even easier to upgrade your event with with our Enhancements! For every purchase with H2Htpe, you earn Party Points that can be spent (like airline miles) on your favorite Event Enhancements. 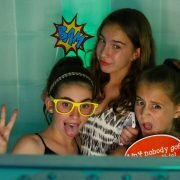 Why settle for just a boring photo booth, when you can have it all in our state of the art Fusion Photo Booth! Print, send, tweet or post your pictures to share the fun with the rest of the world. From the dazzling lights, to pumping party music, our Fusion Photo Booth is a party in a box! If you’ve been looking for something new and amazing for your event, then look no further. The H2Htpe Magic Mirror is hottest photo op on the party circuit! 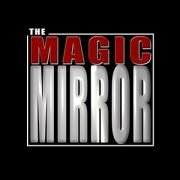 Your guests will marvel as they pose in front of the huge 3′ x 5′ mirror while being flattered by its sassy personality: “Do you model?”, “Ohhh, looking good!” There’s no better way to get your guests into the party spirit than to butter them up with endless compliments from our magical mirror. The Viral Video Lab is the latest creation by H2Htpe and has quickly become the hottest concept in event entertainment! Themed to your event, the H2Htpe Viral Video Lab combines our proprietary green screen technology, transporting your guests virtually anywhere, making them the social media stars of tomorrow. 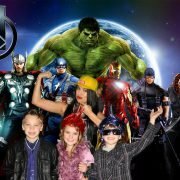 When it comes to entertainment, no one does it like H2H, and our Green Screen Experience is no exception. We’ve taken the concept of green screen photography to an entirely different level by combining state-of-the-art technology with our top-notch entertainers. Not only do we deliver the finest green screen experience, we delivery the most entertaining green screen experience ever. Turn your party into an event to remember! H2H’s Neon Fantasy is the original black light extravaganza that will energize everyone! 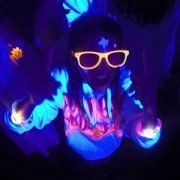 Imagine a set where your dance floor is lit by industrial size black lights as your guests dance the night away with the H2H staff in the hottest glow in the dark favors and costumes! Think of this as Neon Fantasy on steroids! It’s everything you love about our original Neon Fantasy, but so much more. 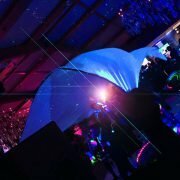 Including: premium black light party favors, a neon confetti blast, twice as many black lights, THUNDERDOME ® and / or PARTYBALL ®, and a neon performance by the world famous H2H staff that will blow your guests away! 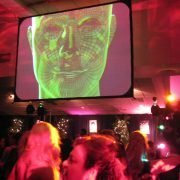 Video Partycast is the dynamic link between the music and the dance floor adding an incredible visual element to your event that can’t be topped. Our team of A/V experts create a tapestry of customized pictures, videos and graphics that are displayed on state of the art flat screen TVs or rear projection video screens. 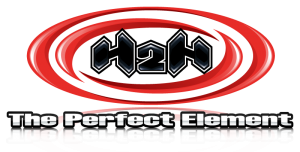 H2Htpe offers the finest state of the art special event lighting. From custom gobos and pin spots to spectacular LED up lighting, H2Htpe has everything you need to turn your event into the showpiece you’ve always dreamed of! 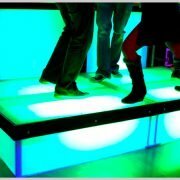 Take your dance floor to a whole new level with H2Htpe’s Party Blocks! Our one of a kind light up stages pack a big punch as they change color and effects to the beat of the music transforming your event into a party. The perfect solution to energize any crowd! 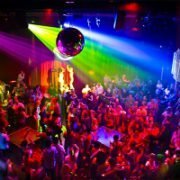 Give your event that “live” edge with a taste of a Hollywood nightclub! 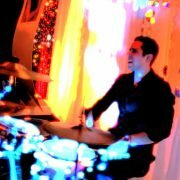 Our amazing percussionists will enhance the music and energize your dance floor with their funky beats and incredible style. H2H Live! ® is exactly what you’re looking for! Break out of the ordinary and step into extraordinary! An H2Htpe video montage will enthrall your guests and showcase your Guest of Honor like never before. Our team of creative experts strike just the right balance between emotion and flare creating the perfect cinematic experience. Not your ordinary gaming experience. 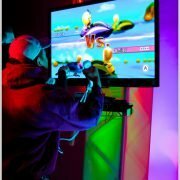 H2Htpe’s Game Station brings the hottest video games to your event with enough energy and sound to blow away the most seasoned gamer. Complete with the very best titles and systems, H2Htpe’s Game Station packs some serious power! The beats, the moves, the energy! The H2Htpe Airborne performers will dazzle your crowd as they show off their acrobatic talents, and bring the look and feel of a New York street corner to your next event. From spinning on their heads to flipping on their feet, the H2Htpe Airborne team is the real deal.